This little work is the outcome of a series of lectures given by me at intervals during the last twelve years to different Highland Societies. It is also an expression of the indignation which so much false criticism of the Great War Pipe of the Highlands, repeated in my hearing year after year, has aroused within me. I take this opportunity of apologising for the style and diction of the book—it is difficult for one so unused to the pen as I am, to change the spoken into the written word. The few sentences in Gaelic are spelt for the most part phonetically. My best thanks are due to all who have helped me in any way, and especially to those kind friends who have put themselves to much trouble and expense in their endeavour to add to my collection of Bagpipes. In two or three instances, I have spoken in depreciation of other peoples’ writings, but the reputation of these writers stands too high to be affected by the criticisms of a single and unknown individual like myself. The motives which have impelled me to write have nothing personal in them. 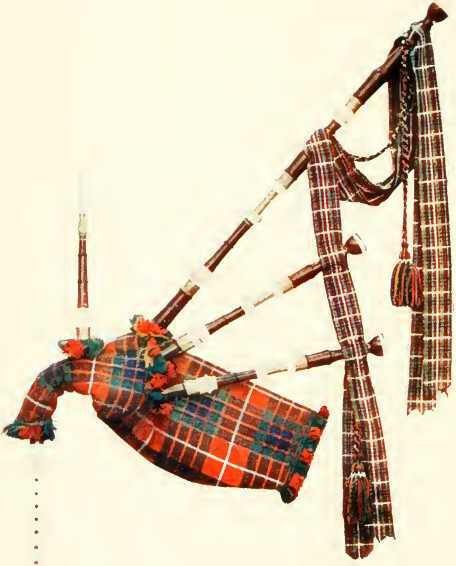 My whole life has been devoted to the relief of suffering, nor would I hurt for the sake of hurting, but if anything I have said here in defence of the “dear old Bagpipe” should happen to give offence to any man,—“even unto the least of these,”—I here and now heartily apologise. Chapter XXXIX — Can the Bagpipe Speak?